. 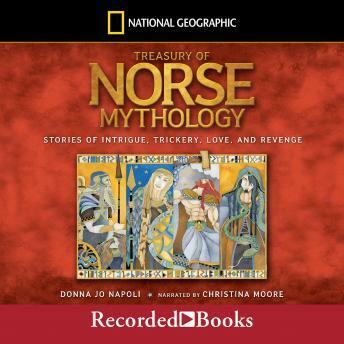 The lyrical storytelling of award-winning author Donna Jo Napoli dramatizes the timeless tales of ancient Scandinavia. This book is the third in the trilogy that includes the popular National Geographic Treasury of Greek Mythology and National Geographic Treasury of Egyptian Mythology.